Bridgett Myers is the Chief Development Officer at FosterAdopt Connect (and Mary’s former boss). Bridgett assumed the new role in January 2018 after serving in executive leadership with the American Cancer Society for 23 years. 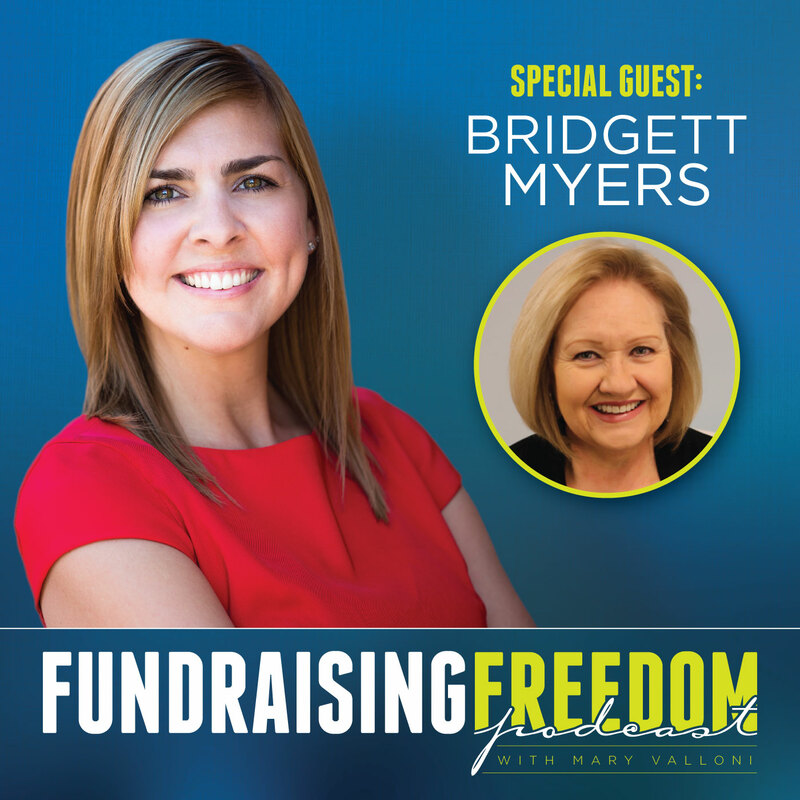 Bridget digs in and shares incredible fundraising tips and hiring advice every non-profit executive leader should know. You don’t want to miss out on how she made a few changes in her 2018 signature fundraiser that resulted in 8 new leads and a new $25,000 corporate donor that called and asked if they could sponsor her 2019 event! To connect with Bridgett or to learn more about her organization, FosterAdopt Connect, visit http://fosteradopt.org.